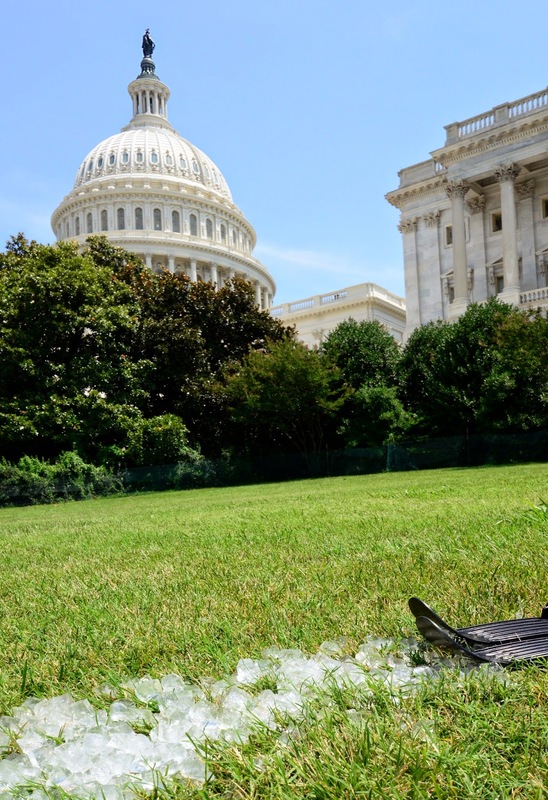 Today we are visiting Washington DC, and trying out a Planetskier recipe: take a grass slope, two miniskis, ice cubes from the hotel ice dispenser, and mix them together. And there we have, another ski destination! 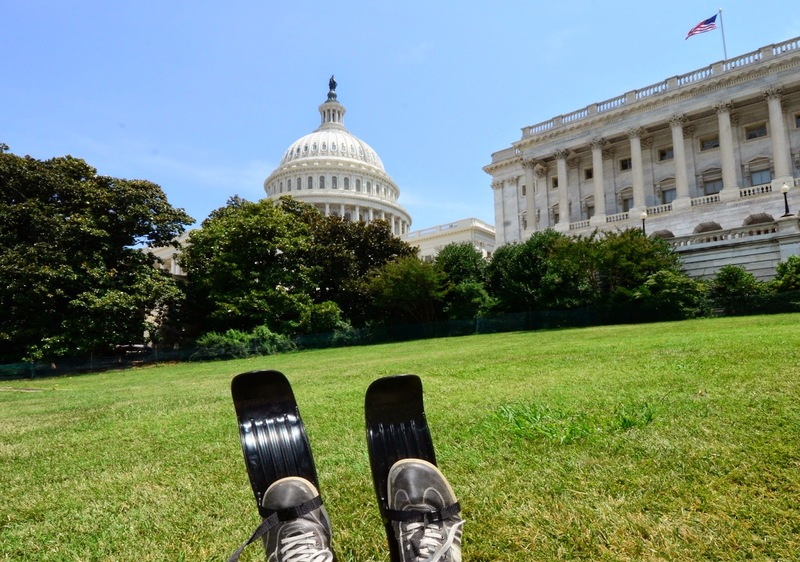 This was my first descent in Washington DC, and the 21st state or district in North America that I have skied in. My family vacation in the museums of New York and Washington was not quite as mountain-focused as I would have wanted, but I did find some skiing, eventually! 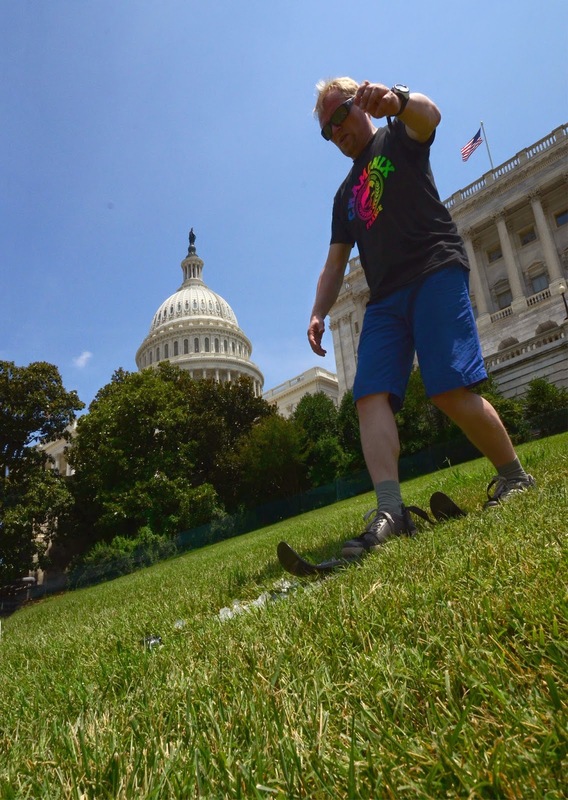 I was a bit nervous about the possibility of the security in the National Mall getting too interested in my ski exercise near the congress. But fortunately they were relaxed and did not pay any attention. Some tourists even took a few photos of what I was doing. And I was surprised by the amount of ice cubes one can get in few seconds from a hotel ice machine. I've never used those machines before, but clearly they are useful! In the next trip I will keep this option in mind, and consider them as a source of even larger amounts of ice. Now I used one bag, but it would probably have been easy to acquire much more. Photos and videos (c) 2014 by Jari Arkko. Tämä blogi löytyy myös suomeksi. Gotland is a great vacation destination, but when the others were going through medieval church ruins for the third day, I felt I needed to do something else. Lummelundagrottan is Sweden's 2nd longest cave, and stretches for four kilometres. Or possibly more, as the exploration continues. The cave is 15 kilometres north of Visby, the main city in Gotland, and also near the airport. 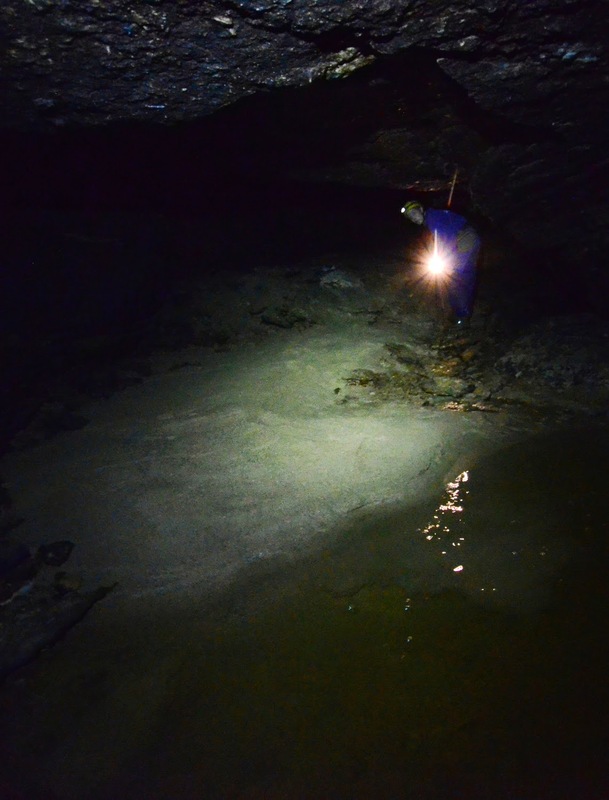 The largest open spaces of the cave were discovered in the 1950s by three school kids, Örjan, Percy, and Lars. Today, the stairs lead to those large spaces, and the tourists can walk through the cave along paved pathways. The cave gets over 100 000 visitors every year. 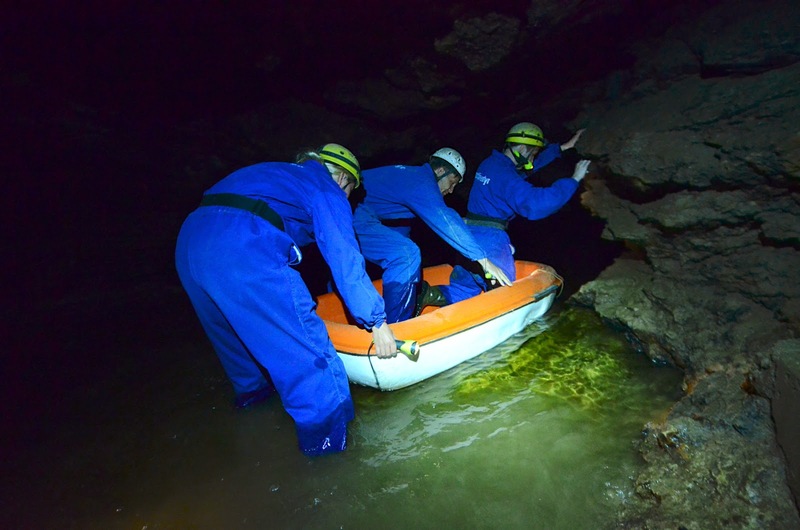 But there is another, a more interesting way to enter the cave - even for us who are interested in trying out caving but have no experience to do it on our own. 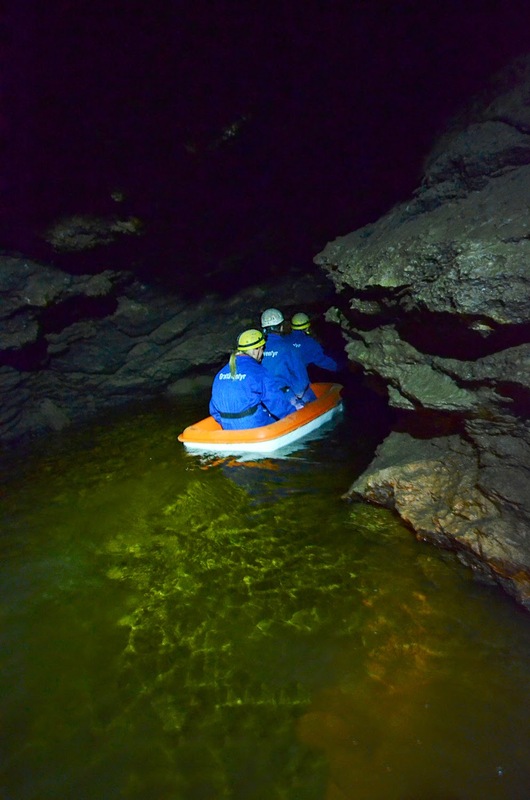 An adventure group takes ten wannabe explorers into the cave along with two guides. One of the branches of the cave system is closed, and we can not enter that. 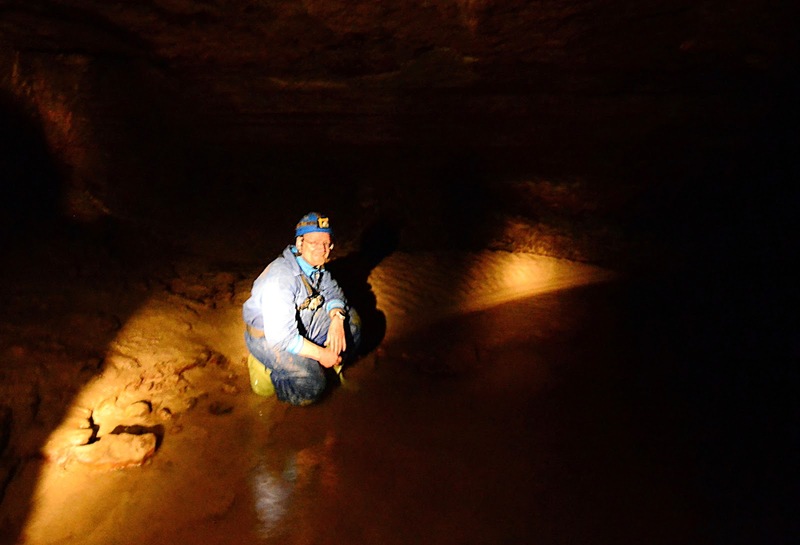 Even cave researchers get to visit that part of the cave for only a week in a year. 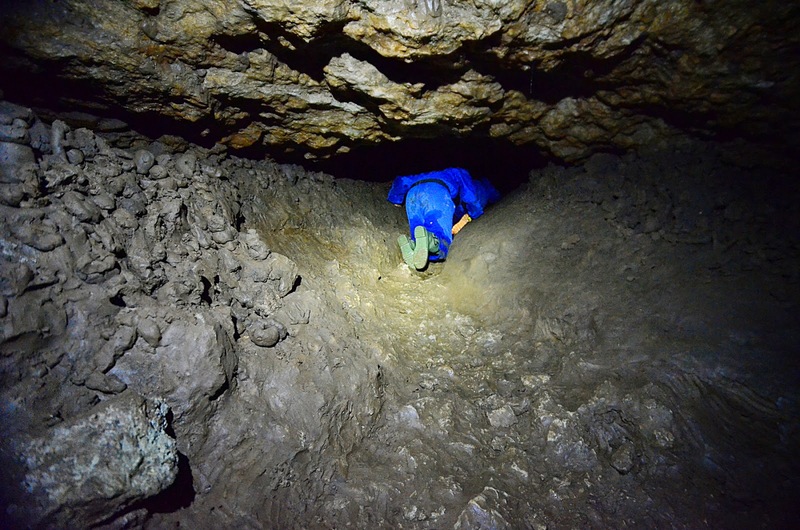 The adventure group explores another branch for about half a kilometre into the cave. Going beyond this would require crossing a "water lock", i.e., would require diving. Not for us! The route that we can take begins on small boats. 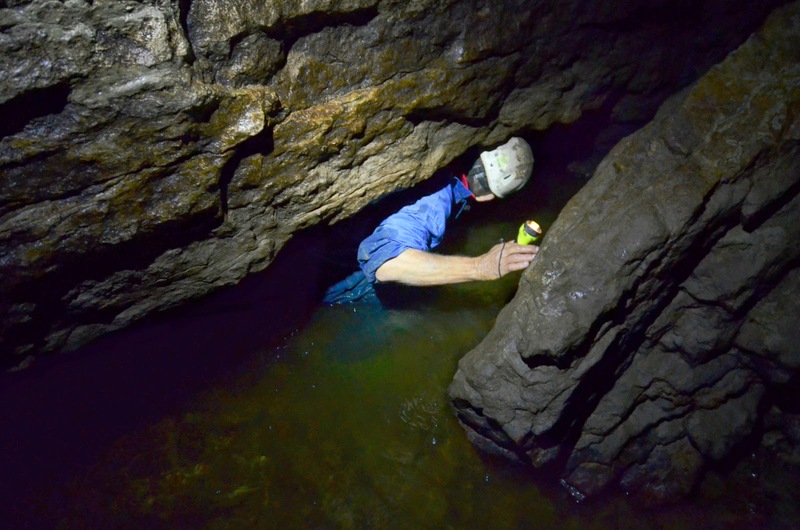 They are easy to manoeuvre into the cave, as we can grab hold of rocks in the tunnel walls and pull ourselves forward. 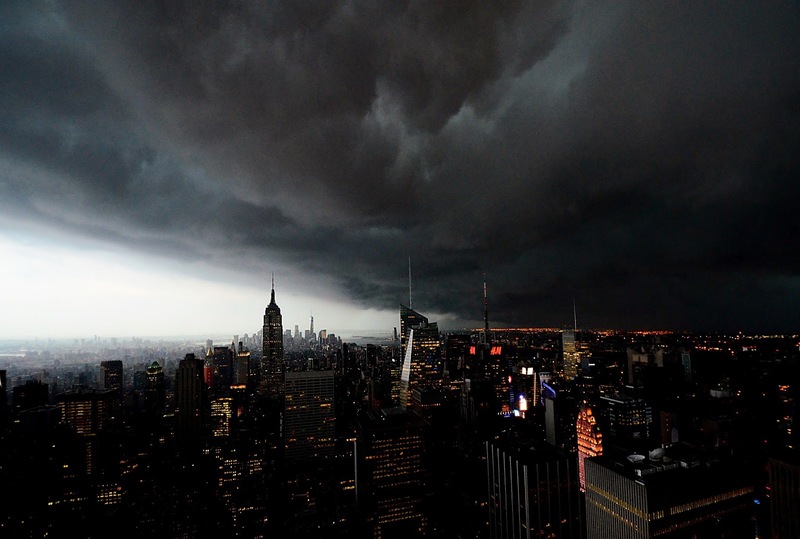 But then the going gets a bit tougher. The cave ceiling drops so low that we have to lean low - and lean to different directions to avoid capsizing the boat. 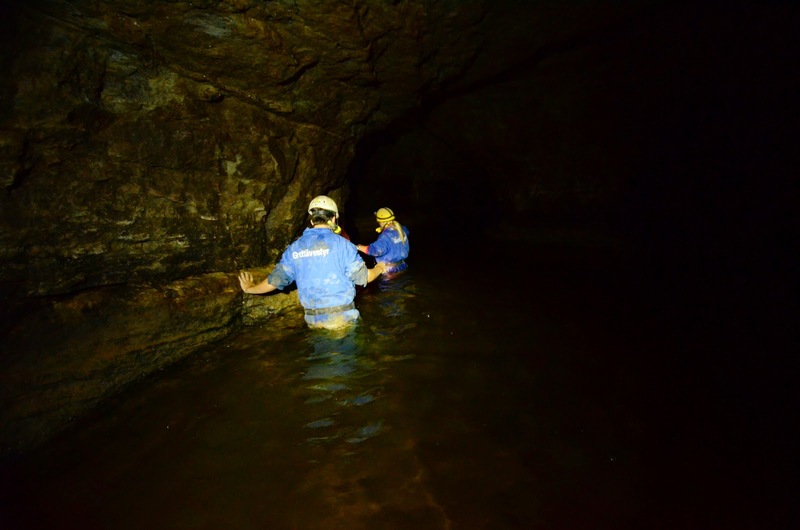 Once we reach the end of the boat trip, we climb over rocks, and continue our journey on foot, wading through partially water-filled tunnels, climbing, and even crawling. 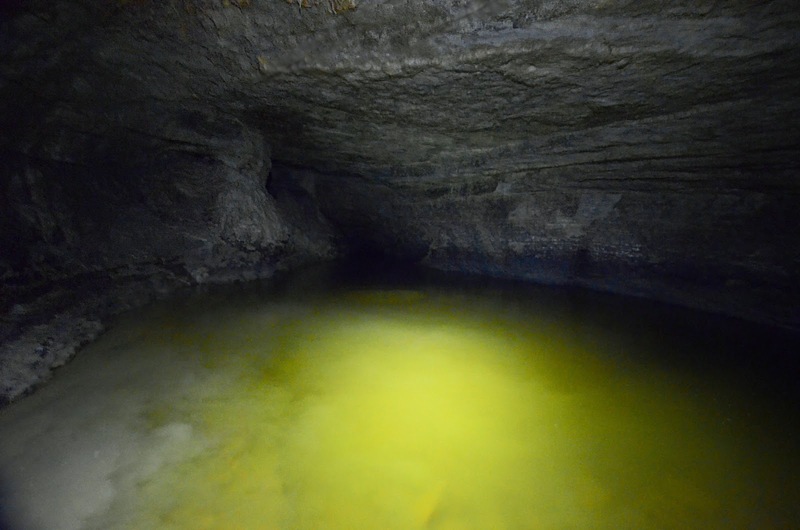 The cave was partially what I expected: tight spaces, water, crawling. But I was totally blown away by the surprising elements. 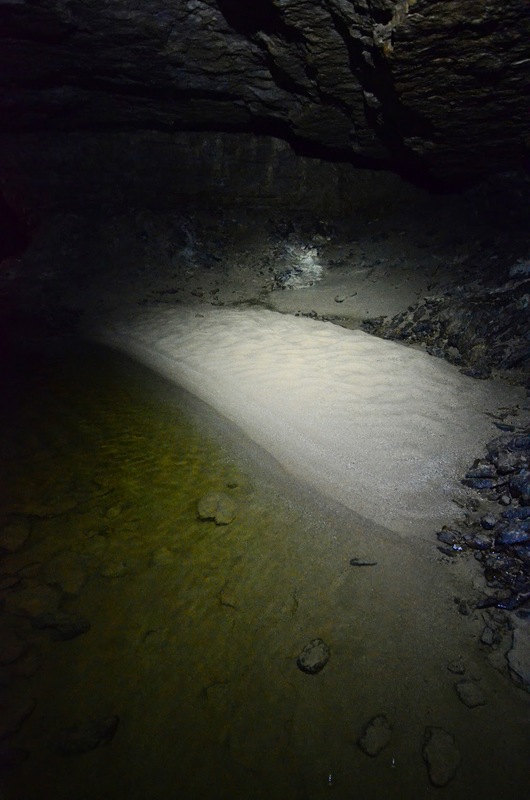 The underground sand beaches. The beauty of large tunnels. The water that shines in bright green colours in the light of our headlamps. And I did not expect clay. I imagined the cave would be rock, clean rock. 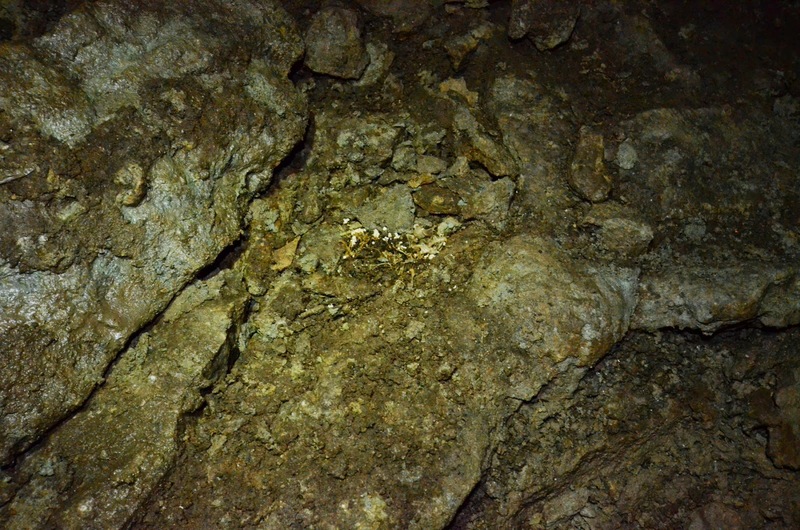 But many parts of the Lummelunda cave are covered in clay. 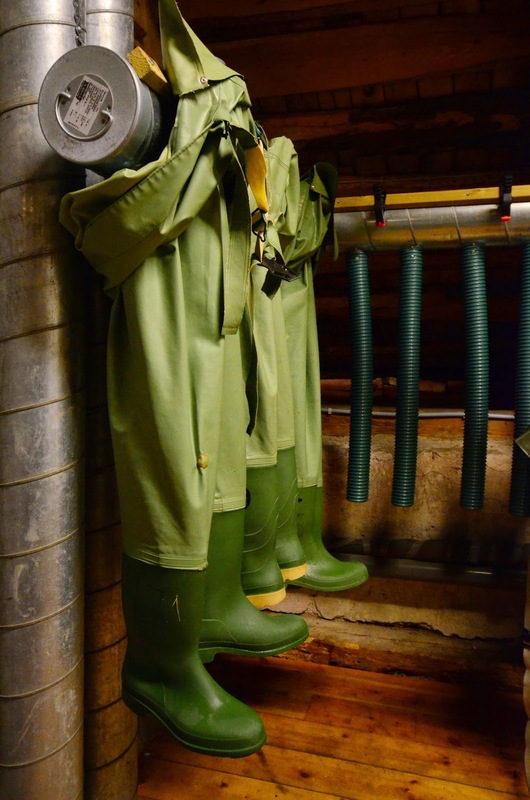 The crawling and climbing in these areas turns our clothes and hands thoroughly dirty. My fellow cave-men drew war paintings on their faces. And the water. 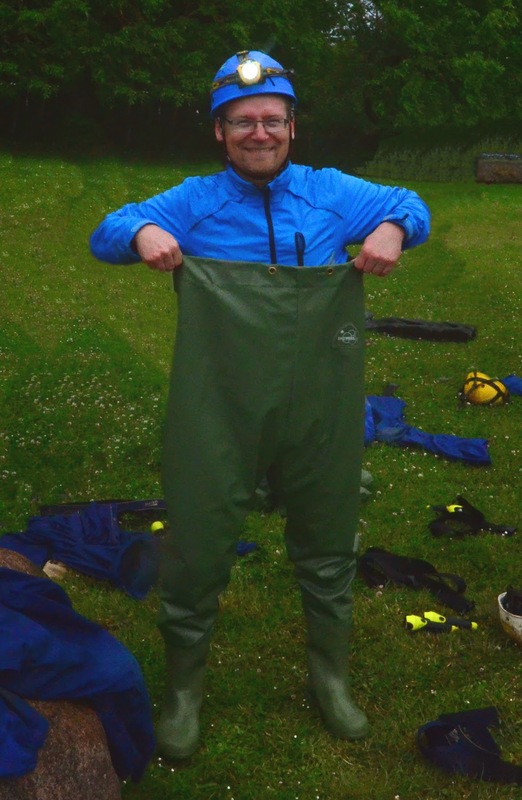 Wading through the deep water in watertight pants was surprisingly different from just wading through water in your swimsuit, as the pressure is feels stronger. 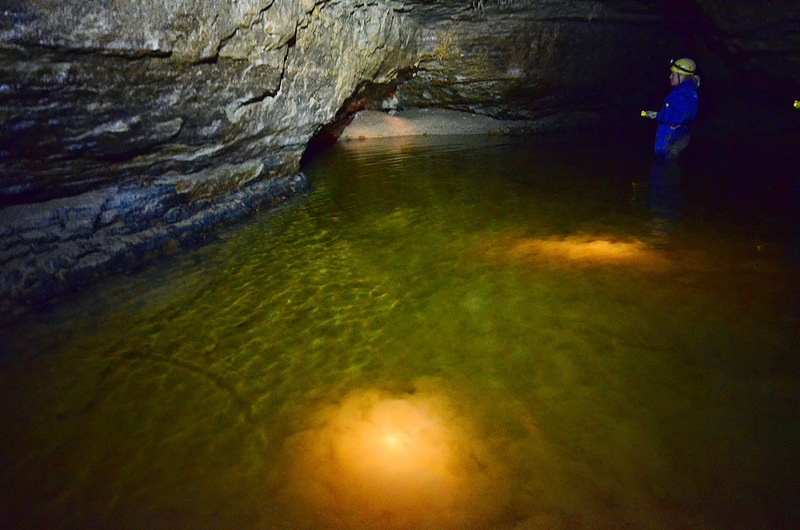 My mind raced through the stories of cave diving, and I kept being afraid of the holes to other parts of the cave. The holes were hiding somewhere under our feet, under the water. An interesting part of the trip was navigating in complete darkness, as we turned our lights off for a moment. This was surprisingly difficult, not to mention scary. The guides also told us a story about a mouse they had seen in one of the early tours, only to find the mouse half-eaten when returning from their tour. Is there a large carnivore hiding somewhere in the cave... true or not? I do not know. We used wade-fishing pants, high enough to reach our armpits. But they were not high enough to protect us completely from the water, as it was too deep in places. In a couple of points we had to either jump a few meters or swim. This would not have been such an issue, but doing that while carrying two cameras was a challenge for me. In some other points we held on to rocks on the tunnel walls to keep ourselves afloat. In another case we had to move on our bottoms along a small underwater ledge in the tunnel wall. 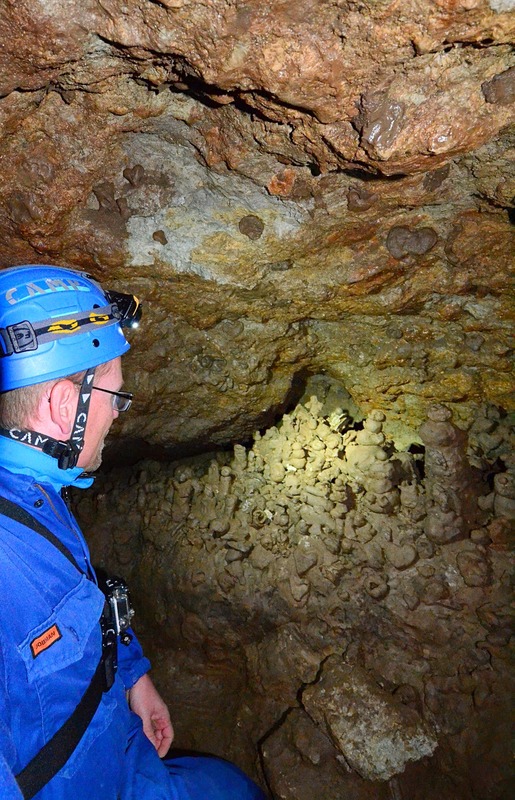 A tourist tour into the Lummelunda cave costs 130 SEK or about 13 €. The adventure tour costs 800 SEK or about 80 €.